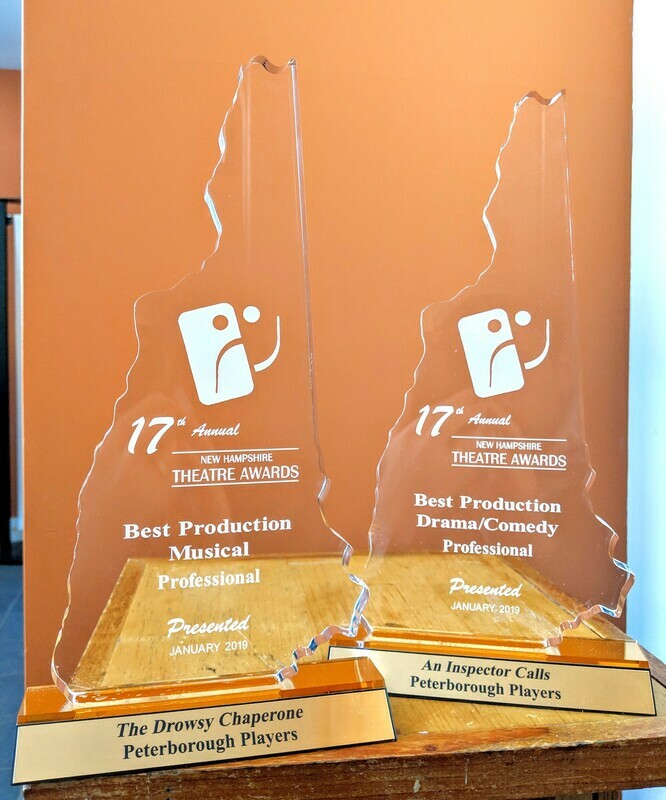 Peterborough Players Wins 8 New Hampshire Theatre Awards! 17th Annual New Hampshire Theatre Awards! Congratulations to the finalists and recipients! And thank you to the New Hampshire Theatre Alliance for the recognition! The award ceremony took place on January 19, 2019 at the Capitol Center for the Arts in Concord, NH. The New Hampshire Theatre Alliance (NHTA) is a 501(c)(3) nonprofit organization that works with NH theatre companies and artists to foster collaborative conversation, resource-sharing, and audience engagement. Believing that theatre is a public good vital to the health of the Granite State, we advocate for the growth of NH professional, community, and youth theatre organizations by promoting the pursuits of individual member companies and highlighting the impact of the performing arts locally and statewide.